I'm back! Life unfortunately goes on even after horrible things happen, and trying to make myself sew for myself lately has been hard. I feel like it's been wasteful of my time, resources, and just too frivolous. I've even considered quitting sewing altogether and getting rid of everything. Throw a baby in the mix of rethinking and replanning life, and ...well...not much gets done. But, here I is, and I am trying to keep going. 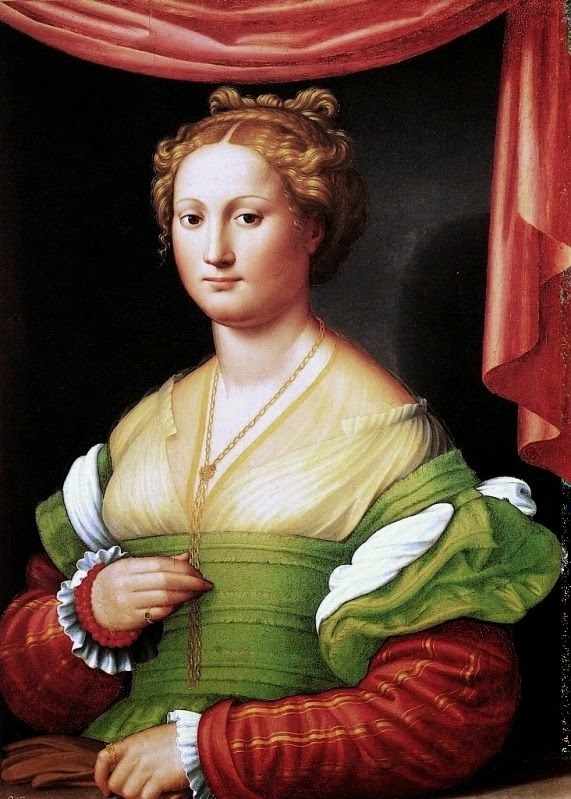 Anyway, I have been working on making the dress in this portrait by Franccuci circa 1530. I started maybe a year ago? Can't remember. I had all the materials together before I got stalled. Needless to say, maybe three days worth of work on it got stretched out till now. The bodice is finished, the upper sleeves are almost finished, and I've finished the trim for the skirt this morning. 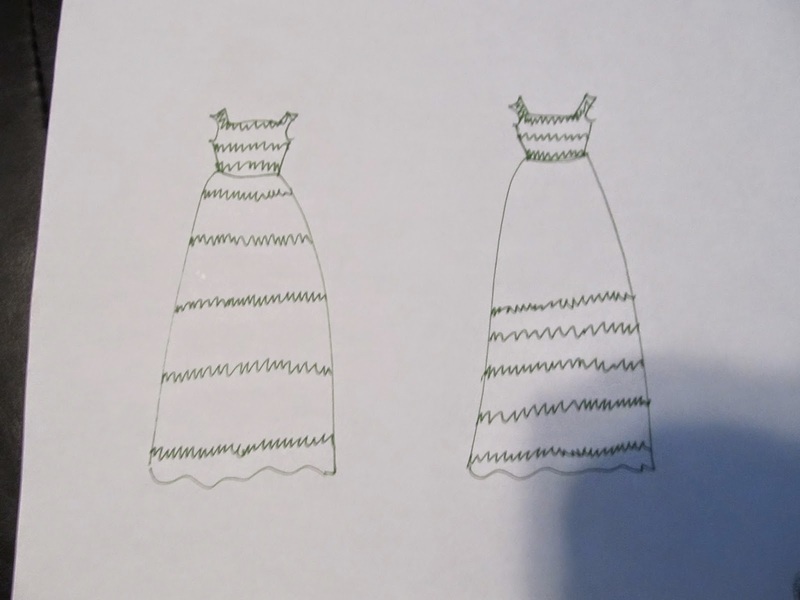 I've been referring to it as my 'Oscar the Grouch' dress since its turning out really green and really tattered. It's simple; ripped linen folded in half, with lengths of cotton crochet string sewn in (kinda like piping), and then flattened out again. Yay Hannah! I am so glad you are sewing agin. It makes you (and us) happy and the world needs more of that! My modern eye like the trim at the bottom of the skirt but Renaissance me urges you to spread it evenly over the entire skirt! Either way is going to be both lovely and interesting but the second option seems more true to period aesthetics. Welcome back! Love the trim, what a unique way to create detailing and interest on a gown (those Renaissance people, resourcefulness and inventiveness applied on garments, love it.) Personally, I think the one on the left, to stick with the portrait.